This week, interim leadership is in place in Aspen, and we get real data about the city’s growth. A group of locals are hoping to keep families and their pets together in the Roaring Fork Valley’s tight and restrictive housing market. Prospective candidates for Aspen City Council and mayor can now throw their hat in the ring for this spring’s election. A campaign against Aspen Referendum 1 is beginning to take shape. The Aspen Chamber Resort Association says it’s part of a coalition of organizations aiming to convince residents to vote against the ballot question. If passed, it would amend the City Charter to require a public vote on development projects with exceptions for height, size, parking, or affordable housing. Last night, Aspen City Council candidate Bert Myrin defended altering opposing campaign materials ten years ago, to benefit a political cause. The issue came up during the Aspen Chamber Resort Association candidate forum. Welcome to Valley Roundup, a review of the top news stories in the valley in the past week. This week - Development is booming up and down the valley. A new hot springs in Glenwood Springs, a new hotel in Basalt and a big new bus depot in Aspen are just some of the upcoming projects. 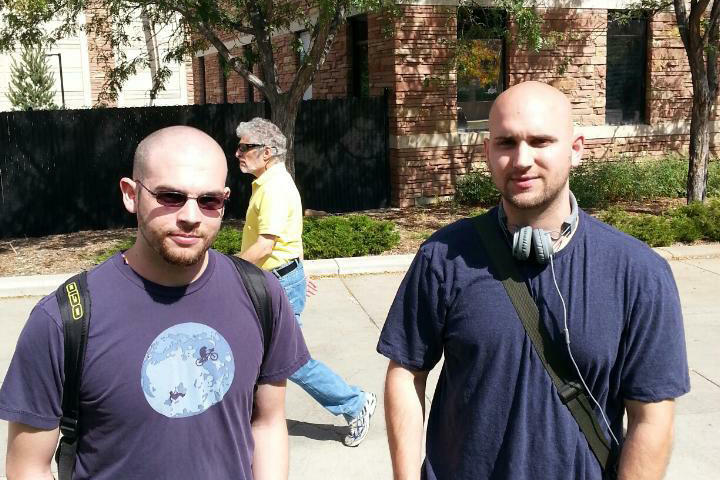 There is a demonstrated need for more psychiatric care in the Valley. Officials say too many drunks and people with mental health problems wind up in jail or the ER. Also this week newspaper endorsements and their effect on voters. Amendment 68: Should Gambling Be Expanded And Taxed For Education Funding? While much of the attention the 2014 election season has been focused on Colorado's Senate and gubernatorial races, voters will also be deciding the fates of four statewide ballot questions. One of those questions seeks to expand gambling at racetracks to help fund K-12 education. 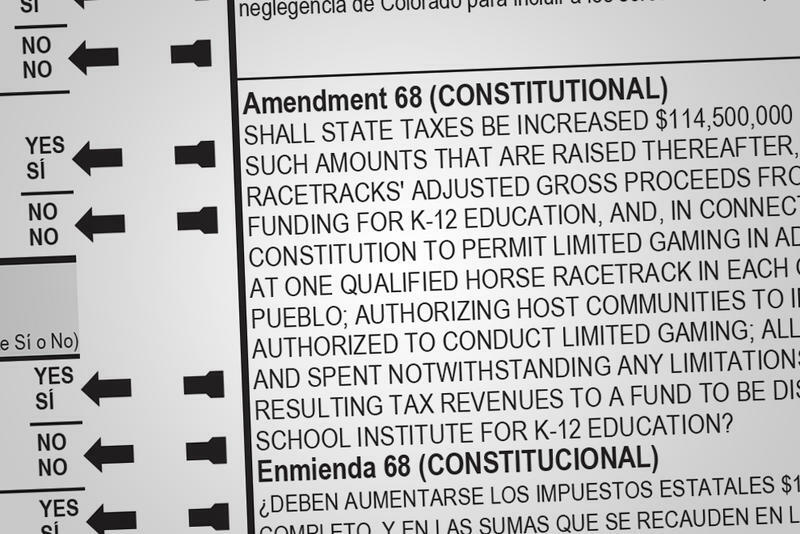 If approved, Amendment 68 would allow horse race tracks in Arapahoe, Mesa and Pueblo counties to offer slot machines, roulette, craps, and card games such as blackjack and poker. Arapahoe Park in Aurora is at the center of the campaign. With Colorado's U.S. Senate race too close to call, both parties are on an all-out blitz to court as many voters as they can prior to the November election. The youth vote has traditionally helped Democrats, but Republicans see an opening with national support for President Obama falling among the millennial generation. The Roaring Fork Valley is awash with fall colors this week. Basalt puts together a commission to decide on a way to revitalize old town. Health insurance rates are going down next year for some residents in the Glenwood Springs area. And that’s partly because some doctors and hospitals have agreed to get paid less. U.S. Senate candidates in Colorado battle it out for the women’s vote in the November election. And we look at the 35th annual Aspen Film Fest, opening this weekend. Ahead of the mid-term election in November, polls differ on who’s ahead in Colorado’s most contested races. The Colorado Department of Transportation is asking local governments to help pay for Glenwood’s Grand Avenue bridge. Garfield County has agreed to contribute millions. Colorado Mountain College administrators are turning their focus to what kids are learning before they walk in the door. And, a new preschool program serving low-income kids is using lessons about the brain to encourage learning. This week we are looking at the various tax increase questions before voters next month. One of the largest projects in the valley seeking voter approval is the proposed recreation center in Basalt. The indoor facility would be built in the Crown Mountain Park. Aspen Public Radio's Roger Adams reports. The Republican Party has seen its share of fractures, factions, and disruption of late: some in the party openly suggest that rifts within are caused by “right-wing religious nuts” and other extremists; others, especially the young in the party, complain that conservative platforms have become closed minded, racist, inflexible, and old-fashioned. How will the GOP build internal consensus on what it stands for? And who is poised to lead the charge? Aspen Ideas Festival - Why Are You the One Who Got the Election Right? Why Are You the One Who Got the Election Right? Steve Skadron has won Aspen's mayor's race. As of tonight’s results, Skadron won 52% of the vote. That’s compared to 47% for the other candidate, city councilman Torre. There are several dozen outstanding ballots, but not enough to change the results in the coming days. Aspen Public Radio’s Marci Krivonen will have a full report during tomorrow’s morning news. That’s at 6, 7, 8, and 8:30am tomorrow morning. You can also follow our coverage on Twitter and Facebook. Aspen’s mayoral run-off election is next Tuesday. We’ll check in with candidates Steve Skadron and Torre on some of the top issues the next mayor will likely face. Torre - My Birth name is Ronald Wayne Maranian III. I was named Torre a week after I was born, now my license, passport and ssn all read, Torre. Where are you from originally? Born in Silver Spring, MD. Grew up in St.Pete, FL. Aspen residents cast their ballots for the city council and Mayor’s seat yesterday. The two council spots were easily filled, by Art Daily and Ann Mullins. But the mayor’s race is still too close to call. It’s not the first time the city’s had a run-off, although more unusual for it to happen with a mayor’s race. 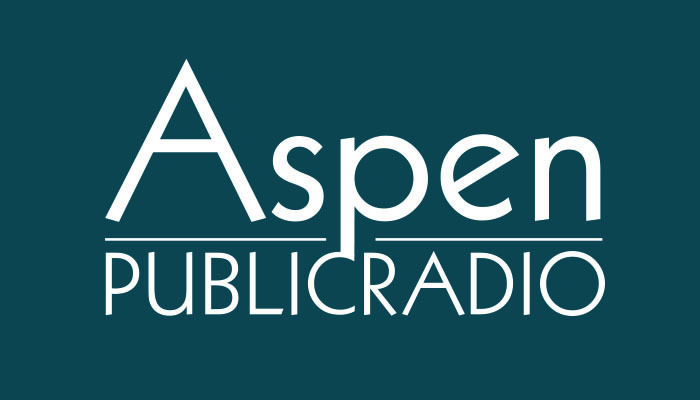 Aspen Public Radio's Elise Thatcher reports. City Clerk Kathryn Koch runs Aspen’s elections. On Tuesday night, she described what happened when none of the mayoral candidates had enough votes to win outright.